I remember my first triathlon—you know, the kind where you swim to the end of the pool, ride your bike around the block, and then run to the end of the street. It wasn’t a distance of any noteworthiness, but hey, I was officially deemed a “triathlete” that day. From such modest beginnings has sprung a real and serious passion. Not that my athletic career has been all sunshine and rainbows. For the first 30 years of my life I never even considered participating in an endurance type of event. I loved sports, but the only time I ever ran any distance was when the coach was mad. I didn’t see the point of putting myself through such a punishment. Maybe it’s because I’ve matured, maybe it’s because I can’t get around the bases quite like I could in my teens and twenties, but my outlook has shifted. Or maybe my getting into endurance events was just fate. After finishing my first mini triathlon, I started to daydream about tackling a full Ironman. For those who don’t know, an Ironman race is a 2.4 mile swim, a 112 mile bike ride, and a 26.2 mile run—all to be completed within 17 hours. Go big or go home, right? I dreamed of hearing my name with those famous words, “You are an Ironman!” as I crossed the finish line. I thought it would be cool to have an Ironman sticker in the back window of my truck. I wanted to wear my finisher’s shirt all over town. 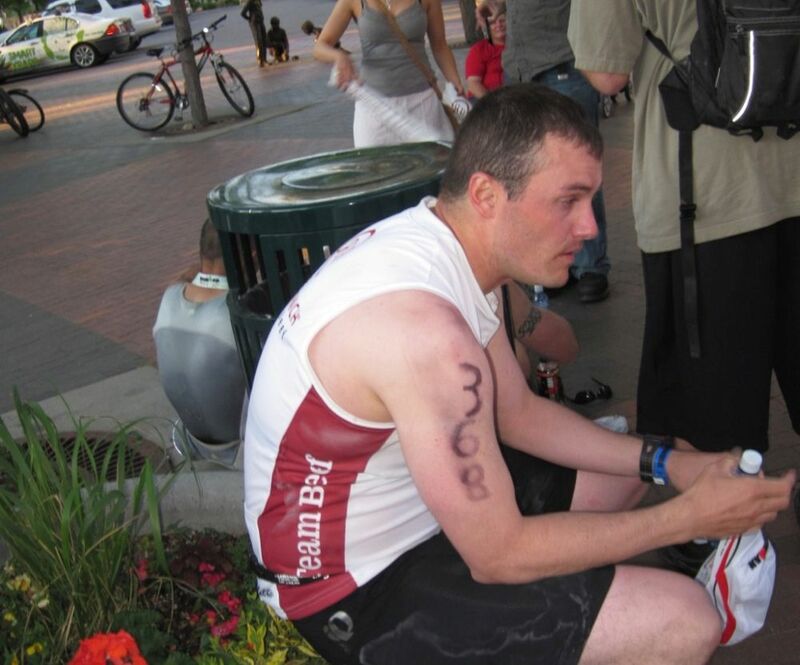 I set my sights on the Boise 70.3, a half-Ironman triathlon, and started training seriously. I planned to use this race to gauge my abilities and to prepare for a full Ironman later. Race day came, and I gave it everything I had—and nearly put myself in the hospital. I finished the race, but I was nauseated by dehydration and both my knees ached. Obviously, doing twice that distance in the same day just wasn’t in the cards. So much for my dream of becoming an Ironman. Back to Thursday night basketball with my neighbors, I thought. I hung up the running shoes for the season and carried on with my life. It wasn’t until later that year that I had an experience that forever changed my life and taught me what it means to take up a cause bigger than myself. I learned how one can witness miracles.